In this issue of ELLE Decoration - UK : ELLE Decoration, the style magazine for your home, encourages you to have the courage of your interior convictions; to colour and furnish your home in your own way. As such, every month the magazine contains a carefully curated selection of everything from furniture, lighting and accessories to paints, wallpapers and fabric, enabling you to make the best possible choices. We do the work, so you don’t have to! ELLE Decoration, it’s where style and inspiration meet ideas and information. 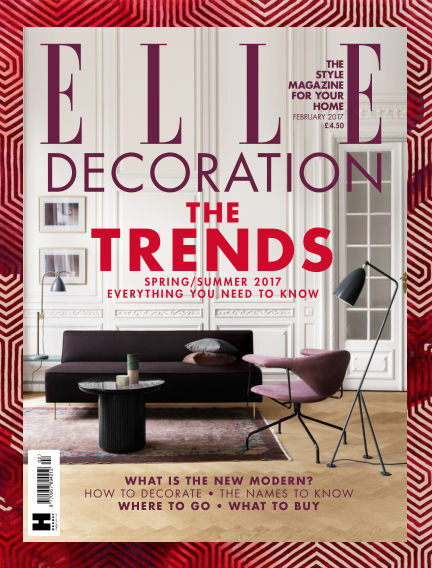 With Readly you can read ELLE Decoration - UK (issue February 2017) and thousands of other magazines on your tablet and smartphone. Get access to all with just one subscription. New releases and back issues – all included.